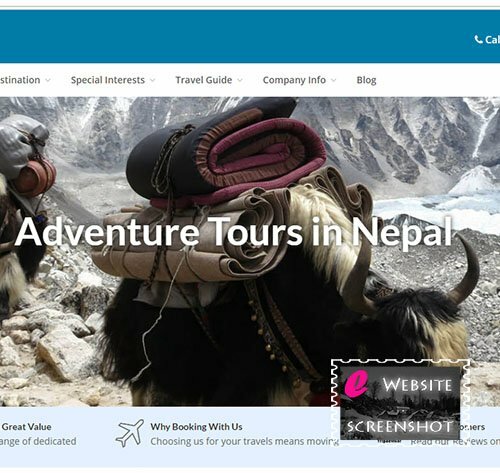 Founded in 2003 in Nepal, Asian Journey has long years experience in providing its clients with life lasting memories of their travels and adventures to the Himalayas and the region. We offer adventure travels to three Himalayan countries which include Nepal, Bhutan and Tibet – the gems of the Himalayan range. We offer a wide range of activities including hiking, trekking, peak climbing, mountaineering, rafting, mountain biking and wildlife safaris. One of our greatest specialties also include cultural tours around the heritage sites of these three countries. We are happy to help our customers in developing customized tours and treks according to their own wishes and needs, mixing and matching activities and locations in order to provide one- of-a- kind experiences that last for a lifetime. Asian Journey is led under the guidance of very experienced guides and mountaineers. The team of Asian Journey is competently equipped with all required instruments necessary to complete your expeditions in the Himalayas. Furthermore, our profession teams with gracious and positive attitude will make you feel like home while on vacation. Having several years of excellence makes Asian Journey a step ahead from others! We are looking forward in collaborating with you!